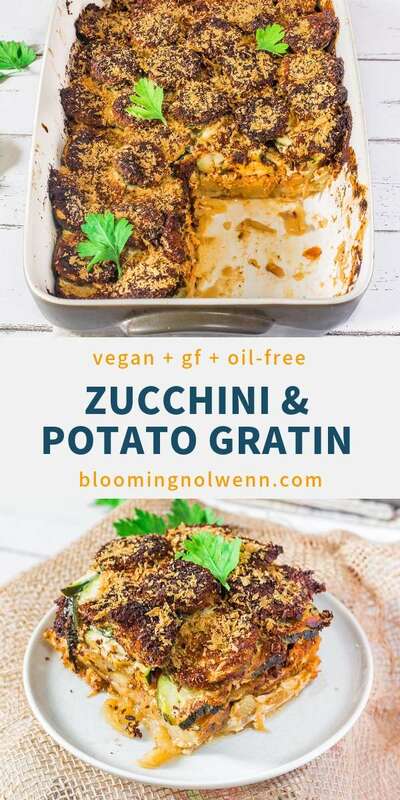 Vegan Zucchini and Potato Gratin for lunch or dinner. 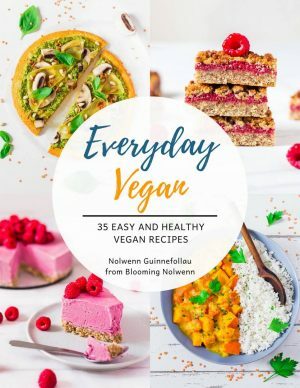 Healthy, vegan, gluten-free, oil-free and delicious! Super quick and easy to make. 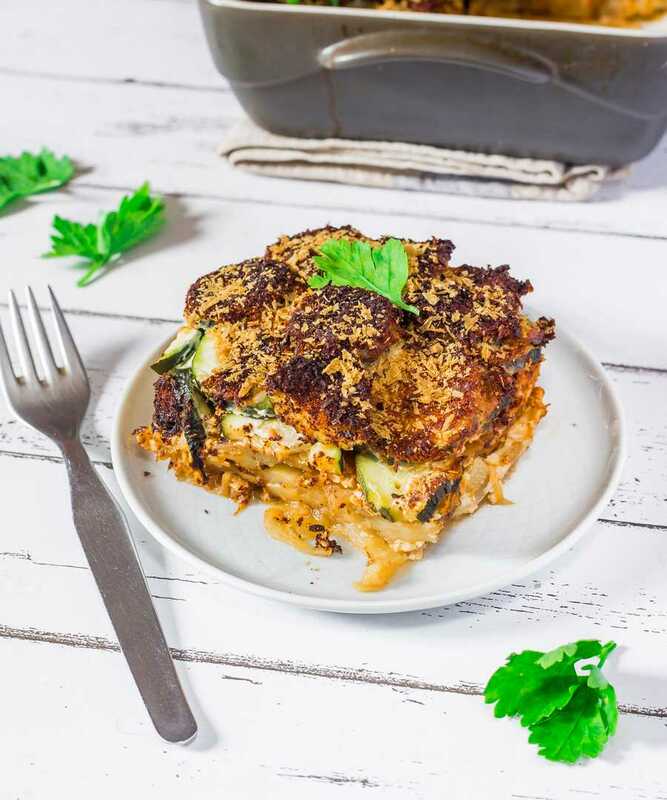 Today I want to share with you the recipe for this delicious vegan zucchini and potato gratin which we have been having quite often for the last couple of months. 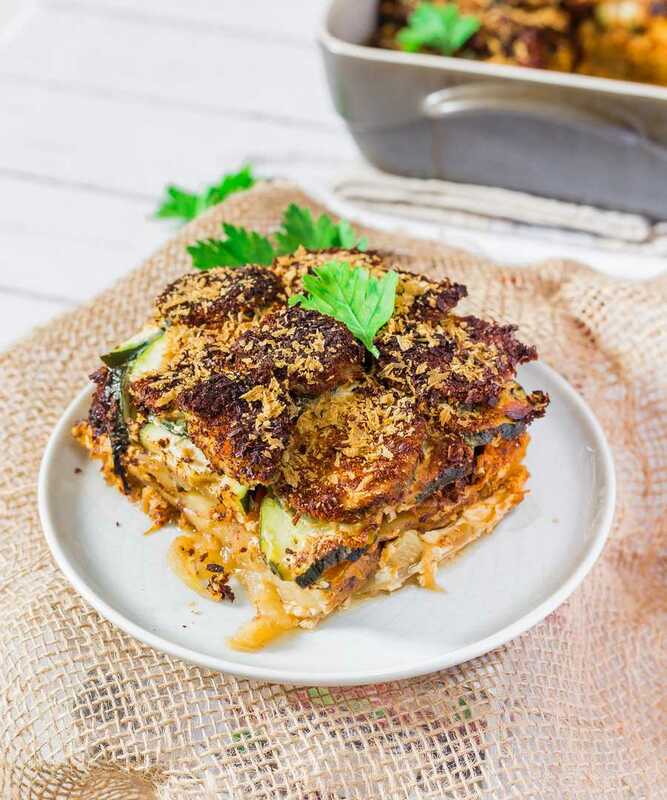 I love this recipe because of how simple it is to prepare – you simply have to slice the vegetables, layer them with the tofu, drizzle the soy cream and sprinkle some nutritional yeast on top. Then, all you have to do is wait for the oven to do the final work for you. 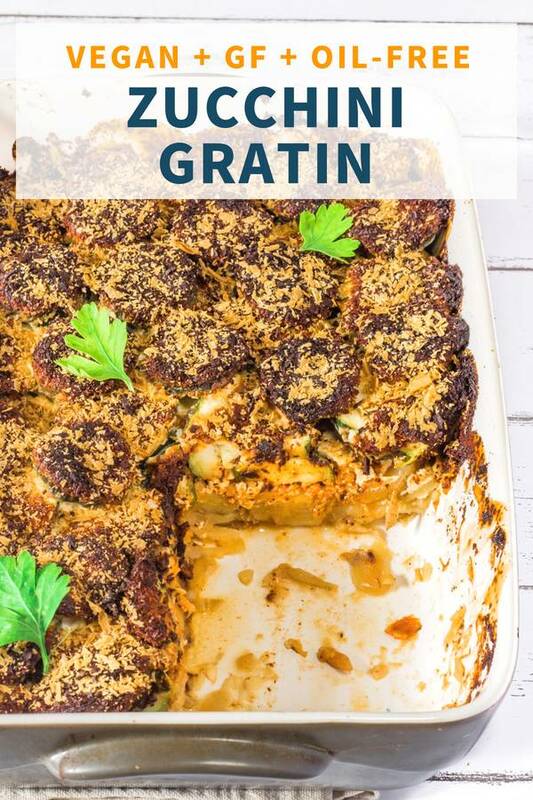 Since I like to avoid oil as much as possible, this gratin doesn’t contain any. You will only need 10 simple ingredients to make it and I am sure that you already have them in your pantry. I like to use flavored tofu but feel free to use any kind of tofu you want or even homemade vegan bolognese. I tried it once and it was very good as well. I also love how crispy the nutritional yeast becomes when you bake it. 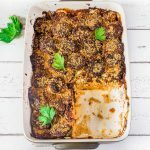 This Vegan Zucchini and Potato Gratin is delicious, healthy, flavourful, comforting and very easy to make. It is also vegan and doesn't contain any oil, which I love. 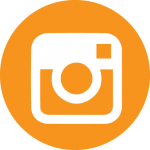 Preheat your oven to 390°F or 200°C. Chop the garlic and onions and distribute evenly in a baking dish. Mine is 27x18x6 cm. Cut the potatoes into thin slices and spread them evenly on top of the garlic and onions. (I made 3 layers of potato slices but this will depend on the size of your baking dish). Drizzle the soy sauce and sprinkle the cayenne pepper over the potatoes. Add salt and pepper to taste. Crumble the tofu and distribute it evenly. Slice the zucchinis and distribute them evenly on top of the tofu. 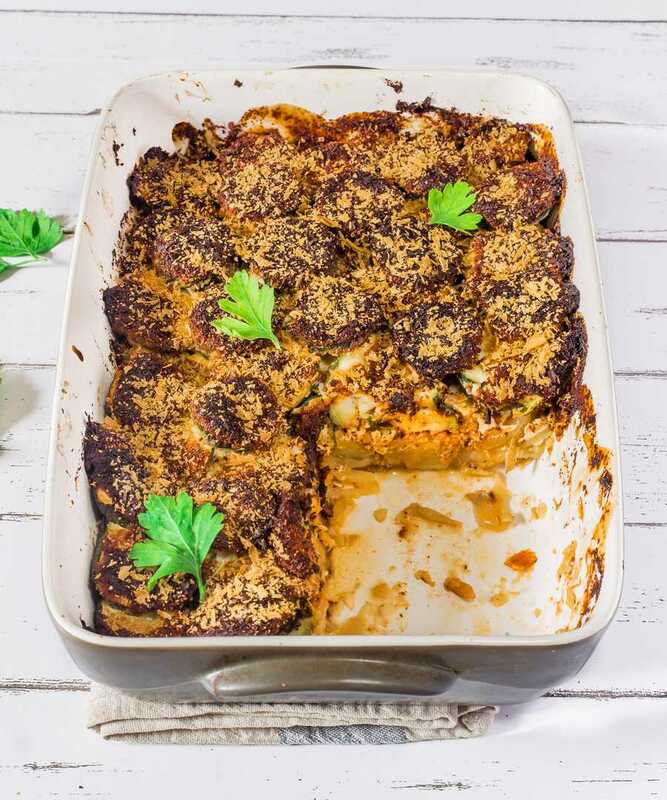 Drizzle the soy cream and sprinkle a generous amount of nutritional yeast. Bake at 390°F or 200°C for 45 minutes or until the potatoes are fork-tender. You can cover the top of the gratin with parchment paper to prevent it from burning. That looks amazing! I’m lactose intolerant so I am always looking for recipes that will not make me sick and this one sounds amazing! Thanks for sharing.